Google will unveil its latest hardware at an event on October 9, but rumors are building about a new tablet, or at least a Chrome OS device with a detachable keyboard. I suspect that Nocturne will really struggle to turn the tide on this one. The ship has already sailed! We are expecting Google to announce a new Pixelbook next month and we’ve already seen some leaked ads showing smaller bezels, but buzz is building that we may be in for a second ChromeOS device that’s more like a tablet - or a tablet with an attachable keyboard. We already know Google is working on something similar to the Microsoft Surface Pro, but is this it? Engineers have dug into the source code and the language in the commit leads to a Made by Google tablet. Several hints were uncovered and reported by Chrome Unboxed, including confirmation that devs are adding Nocturne to the tablet lists. 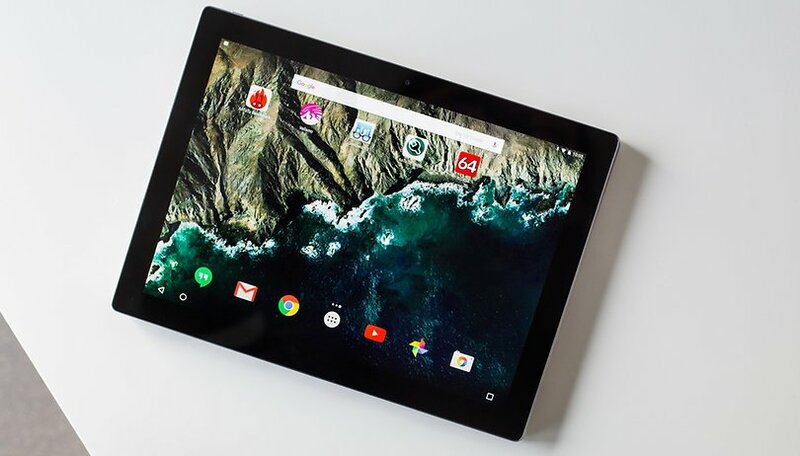 Another file cited a tablet list that features Nocture and the only other available ChromeOS tablet, the Acer Chromebook Tab 10. I’m excited for a new Chromebook and would love to see a proper Pixelbook 2, but the tablet or detachable stuff… meh. We’ve been here before, with the Pixel C. Google’s own tablet was great, but it was a largely deemed a failure, and the company quietly stopped selling late in 2017. At the time, the URL that used to point to the Pixel C was redirected to the Pixelbook page. Sure, the OS is much better now, but, again, the ship has already sailed. Other Android tablets have failed to make a huge impression on the dominance of Apple’s iPad range, and now might be the time to give up on the true ChromeOS tablet venture as well. With Android app support for ChromeOS and Linux virtual machines on the horizon, Chromebooks are shaping up to become the ultimate productivity platform, but in order for it to be successful, it needs to be able to completely replace your laptop. I am almost there, and when my MacBook Pro is eventually laid to rest, I am going to replace it with a high-end Chromebook. The detachable thing, and tablets in general, still feel like an awkward in-between for me, even with a souped-up ChromeOS. They sit in this no man’s land between my smartphone and my notebook. Impressive tech, sure, but ultimately redundant. The success of the iPad contradicts my own personal preference, of course, but Apple customers are different. I don’t see Google replicating that success, even with all the amazing things that ChromeOS is doing right now. Choose “... a tablet” or “... a detachable”. I really want to see Google go big on a next-gen Pixelbook and not spend too much time on October 9 talking about whatever Nocturne turns out to be. Do you agree? Let us know in the comments below. I really dislike the 4:3 screen ratio these seem to be heading towards. I really do not understand the lack of popularity in tablets. I think Android need better working apps for tablets and an interface designed for tablet vs phones. I love my android tablet. I use my phone when out of the house, but when I am home my tablet is rarely out of arms reach. The bigger screen just so much easier on my aging eyes and game much easier to play. I would like LTE to be more available on android tablets too. I think ChromeOS should be abandoned and Google should go all in on Android. There is a lot of room for a tablet market, it is not that the format is a failure, rather Android manufacturers have failed. The iPad is a premium product with apps designed to use its larger screen. Android tables are weaker than flagship phones using apps that are native to phones and blown up to larger size where they look worse than on the phone. THAT is the reason for the ongoing failure to engage. Especially in the small business sector I'm sure you've started to shop at stores that have a small white touch screen cash register and you can sign for your purchase with your finger? That is square and those touch screens are ipads. Every single store you find this in is running an iPad. This should be a market niche that Android dominates. From both a cost and variety perspective those businesses should be finding an android product that works for them. But they cannot because square is only compatible with iPad because Android tablets are bad. In the world of education, adults (both parents and teachers) try to tell kids they should use laptops, but kids don't want laptops they want iPads. Again, this is where Android should dominate but doesn't. I think this one is almost a generational gap thing where GenX and Boomers just don't understand that Gen-Z don't like computers. They don't want desktops, laptops, netbooks, or any other form of traditional computer but they do love phones and tablets both. Android makers could easily cater to this market which is the largest of all generations and still growing, but they refuse because like the author they let their own preference decide what they think their consumers *should* want. Big mistake. Google is not late to the party, Google and all android tablet makers are screwing it up and crying sour grapes rather than taking responsibility for their own choices. I've never bought ChromeOS as a concept - nothing I'd do with it I can't do online in Chrome browser on Android, Windows or Linux, and lots of things it doesn't want to do (offline functionality) that are routinely available on those other OSs. ChromeOS has not attracted developers most of what is sold mainly uses Google's own apps, including the ordinary Chrome browser. Google has a giant base of developers and end-users familiar with Android on mobile, who would be glad to build, sell and make use of a seamless interface with desktops and laptops. What has prevented Google releasing a version of Android for dedicated clamshell and desktop hardware, escapes me.